Travel Destination: Texas, USA. Whether you’re visiting Dallas and Fort Worth for business or pleasure, you’ll be happily surprised by the many choices you’ll find for hotel accommodations, exciting entertainment events and tasty Texas cuisine. The Dallas Convention Center is host to thousand of visitors annually. This modern hotel/convention complex plays host to major conventions and meetings and brings millions of dollars into the Texas economy annually. Whether visiting Dallas, Houston, San Antonio, Galveston or anywhere else in the great state of Texas – you’ll find the guaranteed lowest lodging rates by following the links below. 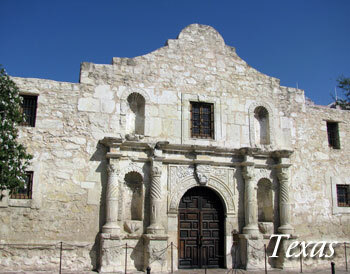 Contact us to feature your Texas hotel or lodging property.